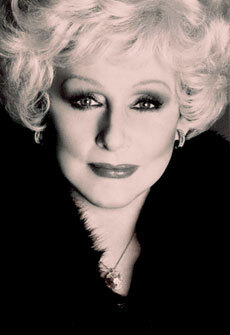 Faith helped Mary Kay overcome obstacles and reach the pinnacle of success. She knew it formed a solid foundation for true success in life. Many of her words reflect this belief and her love for sharing it. "My priorities have always been God first, family second, career third. I have found that when I put my life in this order, everything seems to work out. God was my first priority early in my career when I was struggling to make ends meet. Through the failures and success I have experienced since then, my faith has remained unchecked." "Hope is wishing for something to come true. Faith is belief that it will come true. Believe that for every problem God gives you, He will also provide you with a solution." "Behind every success story in Mary Kay, you will find a simple explanation of great faith. I believe that every person has a capacity for greatness, that God planted the seeds there, and it is up to us to make them blossom forth with patience, guidance and belief. It is up to us to discover the multiple talents that we possess and bring them into fruition." "Many women have made the mistake of changing their beliefs to accommodate their work. It must be the other way around. No circumstance is so unusual that it demands a double standard or separates us from our faith. No matter how fast the world changes, exemplary values must remain constant."